For most of us there’s a built-in aesthetic distance when regarding old historical footage. Sure, we can gaze upon the silent, black-and-white images with their herky-jerky movements and intellectually understand we’re looking at something that actually happened, but the limitations of an era’s technology always put a frame around what we’re watching. However moving, the things we see still flicker at a remove, as if safely ensconced in the past. 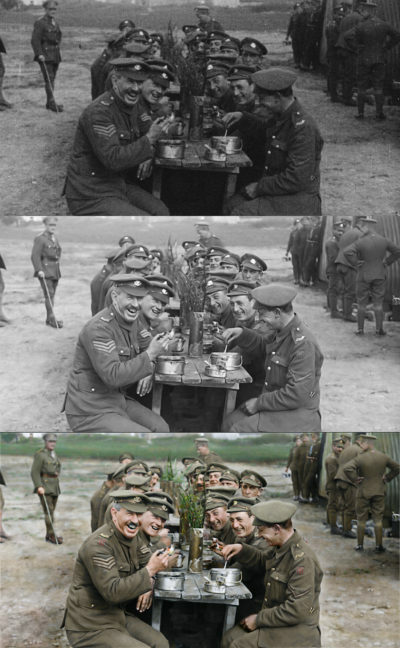 Peter Jackson’s “They Shall Not Grow Old” eliminates the frame. Nothing less than a miracle of bleeding-edge digital filmmaking techniques, the movie is culled from the Imperial War Museum’s archive of century-old, hand-cranked 35mm film shot on the battlefields of World War I. Jackson and his crew of post-production wizards have not just meticulously restored the footage, they’ve smoothed-out, colorized and converted it to 3D, while reframing for a more dynamic widescreen presentation and adding a shattering, full-surround soundtrack. The result collapses the gulf between past and present, bringing history to life in one of the most visceral experiences I’ve ever had in a movie theater. It’s extraordinary. Of course World War I is a massive subject, arguably far too enormous to be covered by a single documentary. Jackson wisely ignores the tangled geopolitical overview, avoiding archduke assassinations and zeroing in exclusively on the point of view of young U.K. grunts sent to the front lines. 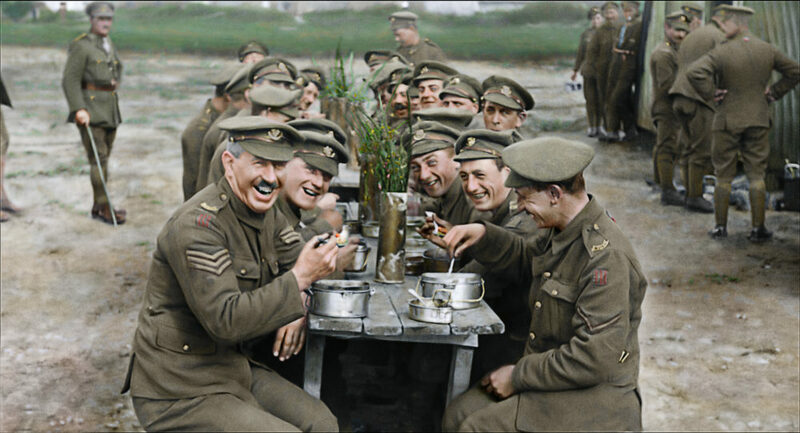 There are no talking heads or historians here, the narration comes courtesy of interviews with dozens of actual WWI veterans recorded in the 1960s and ‘70s by the BBC. With droll, at times hilariously understated British reserve, they recount their travails as skinny little whelps plucked from the factories and whipped into shape before being shipped off to go fight the Germans. The first 25 minutes or so are presented in black-and-white, utilizing the boxy Academy aspect ratio as we journey with the lads through recruitment and basic training. The movie is fascinatingly fixated on the day-to-day drudgery of a soldier’s life, recounting processes and procedures in almost granular detail. (It’s an approach perfect for people who spent “Dunkirk” wondering, “Wait, where did they poop?”) My favorite factoid is that cadets could be fined for having dirty buttons on their uniforms, but were given nothing in their kit with which to clean them. So everybody just used their toothbrushes, thus opening up the floor for another hundred years of jokes about English dental hygiene. It’s not until we and the boys arrive on the battlefields of Belgium that the picture expands outward to CinemaScope, the screen suddenly flooded with color and a third dimension of depth stretching back beyond the horizon. It’s a breathtaking transition, like if “The Wizard of Oz” went to Hell. We’re so used to watching old war footage in shades of gray, it’s a shock to see soldiers fighting below these bright blue skies on fields of verdant green. The industrial revolution arrived just in time to turn World War I into abattoir of semi-mechanized butchery. “They Shall Not Grow Old” takes us into trenches besieged by artillery fire, enduring gas attacks and a bayonet battle so brutal a lot of it is rendered via illustrations from a popular propaganda magazine of the era. (Jackson and company find clever ways to fudge things that were deemed too dangerous for army photographers to shoot.) The immersive sound design fills in any blanks, with thunderous shells and whizzing rifle fire seeming to ricochet around the auditorium. Historically, combat photographers were instructed to shoot in static wide shots that take in as much visual information as possible. 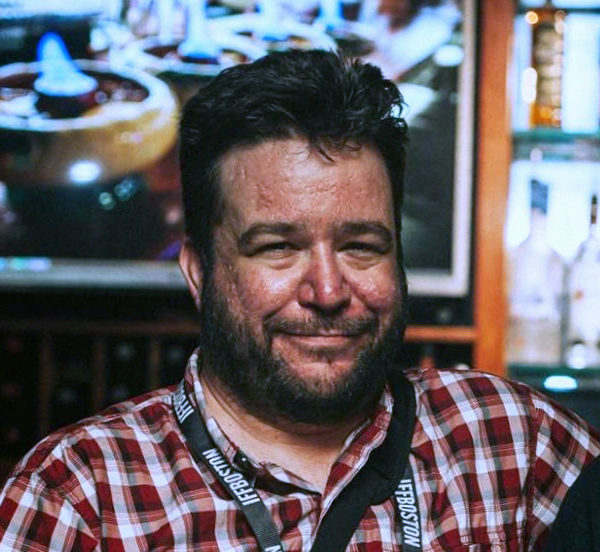 Thanks to the marvels of digital technology, Jackson is able to zoom in and create his own compositions and close-ups inside their existing frames, panning and tilting and basically re-directing the old reportorial footage to dramatic ends. It’s a sly way of bringing us deeper into the trenches, of making the distant past feel terribly near. Yet what you’ll remember most are the faces of these men. So impossibly young — a lot were teenagers when they enlisted — gaunt and wide-eyed with big smiles revealing crooked, rotten teeth. They’re captivated by the movie camera, which was a new and miraculous invention at the time most had never seen before. On what in many cases was the last day of their lives, they gaze into the lens with wonder. A hundred years later it feels like they’re looking right at us.